Ranked as one of the most educated small towns by Forbes magazine, It should come to no surprise that Cupertino is home to some of the best highly ranked schools in Santa Clara County. Cupertino is also famous for being the site Apple has built its headquarters along with the towns surrounding foothills being a beautiful year-round hiking spot. 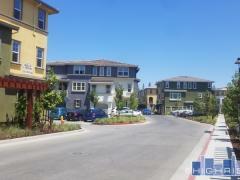 Below you'll find all the condos and townhomes currently available for sale in Cupertino, CA. If you'd like to expand your search to include single family homes you can also view all Cupertino Real Estate for sale.